Newt Gingrich – the Enviro-Liberal – Again! The last I reported on Newt Gingrich we caught him shilling for Al Gore and Al Gore’s green enviro-wacko initiatives, having made a commercial with Nancy Pelosi. This time we catch Newt shilling for Ethanol “clean fuels.” Not just shilling, but he was hired as their lobbyist! 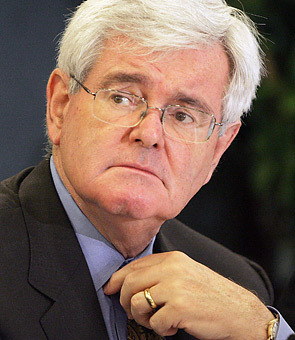 Seriously, are there still conservatives out there who think Newt is one of us? How many times does he have to flaunt his globalist-elitist enviro-wackoism before you take him off your “conservative hopefuls” list? Does he need to come over to your home and flash his “green” card credential or show you his membership card in the Council on Foreign Relations? Please, scratch him off your “conservatives” list once and for all. PHOENIX – On Jan. 18, Gila County Attorney Daisy Flores announced her office will not pursue the public corruption charges against Maricopa County Supervisor Mary Rose Wilcox initiated last year by former Maricopa County Attorney Andrew Thomas and Sheriff Joe Arpaio. Wilcox was indicted on charges of forgery, false swearing, and perjury, in addition to 18 felony conflict-of-interest counts, as well as failure to disclose a $450,000 loan from the Community Bank of Nevada in 2005. After a judge determined Thomas’s office had a conflict of interest in prosecuting the case, it was transferred to Flores’ office for review. Wilcox and her husband Earl filed a notice of claim against the county for $4.75 million in May, stating this investigation was devastating to their family over the past two years. When asked about what kind of damages she suffered as a result of this two-year long investigation, Wilcox stated, “Our restaurant, people were scared to come to El Portal,” the restaurant owned by Wilcoxes. People may have been scared to go to the Wilcoxes’ restaurant, but it probably had nothing to do with the corruption charges and most likely had to do with the ongoing abysmal health department inspections consisting of repeated major violations beginning in March 2008. They were warned again in June after the worst inspection ever recorded against El Portal, with a score of 69 (restaurateurs strive for a score of zero), eight major violations and three repeat major violations. Several of the violations noted were to be corrected prior to the next inspection. However, when the inspector arrived on Nov. 9, 2010, he noted the doors were locked and he was unable to gain entry. If the case was transferred out of Maricopa County due to any sort of conflict, when it arrived at Flores’ office, the conflicts quadrupled. Let’s start with the conflicted cast of characters beginning with Peter McKinn, the Top Rank boxing promoter, who wrote a bad $5,000 check to Ramon “Yori Boy” Campas in March 2004. The check, as we previously reported, was never made good, but McKinn and his coconspirators, which included Wilcox, concocted a fraudulent scheme that included a forged cash receipt for $5,000 accompanied by a falsely sworn affidavit signed by McKinn’s associate supposedly signed by Campas’ trainer Joe Diaz. McKinn, who has since admitted to manufacturing false evidence against Diaz, conspired with Wilcox, who used her position as chair of the boxing commission and as Maricopa County supervisor, to not only cause Diaz to lose his boxing license instead, but to have the charges against McKinn dismissed. While Wilcox used her appointed and elected offices to help cover up McKinn’s crimes, her husband Earl Wicox, used his position as special assistant to Governor Janet Napolitano and as husband of a Maricopa County supervisor, who sets the judicial budget, in an attempt to influence a judge to dismiss the criminal charges against McKinn, a long-time friend of the Wilcoxes. And, because Napolitano was apprised in writing of these acts and did nothing, Diaz says she was a co-conspirator in the scheme to frame him and prevent McKinn from being charged for his crime. On Nov. 18, 2010 McKinn entered into a plea agreement, pleading guilty to issuing the bad check and attempting to cover it up. His sentencing is coming up on Feb. 7. Diaz has long questioned why McKinn’s criminal charges were transferred to the Gila County Attorney’s office. After all, McKinn issued the check in Phoenix. Diaz said he was told by the Maricopa County Attorney’s Office there was a conflict of interest because Wilcox is a county supervisor. While all this was going on, a bar complaint was lodged against Thomas, a Republican accused of being politically motivated in filing charges against Wilcox, Supervisor Don Stapley, a superior court judge and others, oddly, engaged the services of Attorney Ernest Calderon, a Democrat. It turns out Calderon is also representing Flores and her husband Dr. Timothy Trent. Calderon filed a notice of claim on their behalf on Nov. 17, 2009 for $2.4 million against the Globe Unified School District after the governing board terminated Trent’s contract as district superintendent. The list of those appointed to Napolitano’s Latino Advisory Board included, Flores, Wilcox and Calderon. Also noteworthy is Wilcox, a 28-year public official hails from Superior, a stone’s throw from Globe, Flores’ home town. Both towns are in Gila County. Calderon is from Morenci, just across the San Carlos Indian Reservation from Globe, in Greenlee County. It would appear funneling both McKinn’s and Wilcox’s cases to Gila County was deliberate, where Flores, who has sat on an advisory board with Wilcox, and who is using the same attorney Thomas engaged while he prosecuting the Wilcox corruption charges, is not just a casual appearance of conflict of interest but highly conflicted. Flores has already indicated in McKinn’s case, because he is a first-time offender, he could be eligible for probation. And, in dismissing the other underlying charges, which included conspiracy, it would appear Flores will be letting Wilcox off the hook again. If the conspiracy charge is dismissed against McKinn, can Wilcox still be considered a coconspirator? Was Flores’ plea agreement with McKinn engineered as such for that purpose? Diaz said he firmly believes it was. court judge and others, oddly, engaged the services of Attorney Ernest Calderon, a Democrat. Advisory Board included, Flores, Wilcox and Calderon. Today, Dee Dee Blase of Somos Republicans filed paperwork forming a political committee to recall State Senator Russell Pearce. The committee, using the name Arizonans For Better Government, is based out of a P.O. Box based in Scottsdale (document). Senate President Russell Pearce serves in Legislative District 18 which only covers west Mesa. A total of 7,756 valid signatures must be collected by May 27th in order to force the recall for the ballot. Today’s committee announcement was probably in the works as Somos Republicans anticipated legislation forcing clarification and enforcement of the 14th Amendment. That legislation was introduced today and likely triggered the recall. As much as Senator Pearce has been on the forefront of efforts to tighten illegal immigration law, he is not the prime sponsor on the legislation. Instead, Senator Ron Gould and Representative John Kavanagh are the prime sponsors along with multiple co-sponsors. No recall efforts have been launched against either Gould or Kavanagh. The operative clause in that section is “and subject to the jurisdiction thereof.” Many anti-illegal immigration advocates believe that birthright citizenship should not be determined based on one’s GPS location at the moment of birth. Blase is no stranger to confrontational politics. On the Somos Republican website, visitors will find constant verbal attacks on conservative Republicans such as congressional candidate Janet Contreras, Maricopa County Attorney Bill Montgomery and Governors Jan Brewer and Sarah Palin. Recall campaigns are extremely difficult to win first, in obtaining the number of valid signatures and second, through winning in the election process. Having worked in west Mesa legislative campaigns, I believe this effort will fail and may actually be more of a public relations stunt to bring exposure to Somos Republicans cause. 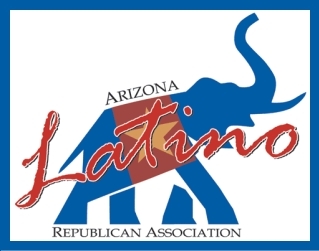 Good luck Dee Dee but I will be supporting the efforts of Senator Pearce and the Arizona Latino Republican Association. The Arizona Latino Republican Association kicks off the Año Nuevo with renowned gun rights expert and author, Alan Korwin. Submitted by Steven Daglas of Arizona 98. This group has also submitted a proposal for 26 Funding Solutions which can be found here. Just came across the following AHCCCS transplant data. I have not seen this reported anywhere yet. The data appears to indicate excellent survival rates for most of the transplant patients, but I have not had a chance to run this by a medical professional yet. This is not an official statement, but primarily seeks to lend some additional context. Note: Liver transplant mortality records for 2006 were apparently not kept or have been lost by AHCCCS. First and foremost my wife Julia and I wanted to thank everyone for their overwhelming support and faith in my ability to lead the Republican Party in the State of Arizona. We would also like to congratulate Tom Morrissey for his victory as AZGOP Chairman. This experience has humbled our family and has increased our growing love for those valiant souls working so hard to protect our God-given freedoms in this blessed nation. We have witnessed and participated in an historic movement to return to the principles and values which made this great nation. TEA Parties and other conservative activist groups lead the charge in defending our freedoms. Their efforts are tireless and never ending. Transparency, participation and accountability are hallmark outcomes as we fought and continue to fight to secure the blessings of liberty. We must not forget the purpose, goal and privilege our forefathers bestowed upon us when drafting the Constitution of the United States of America. Voters define election outcomes, including disappointments, victories, success and failures. Regardless of whether your candidate won or lost, do not lose your enthusiasm, your commitment or your courage to keep up the fight against those so willing to erode the fabric of this great nation. Even in the Preamble of the Constitution, the goal is stated “…form a more perfect Union.” With unity around the correct values and principles we will find strength to defend. We will find momentum to succeed and we will find courage in numbers. Invite everyone who believes in Freedom. Invite everyone who believes in the Constitution. Invite everyone who believes Personal Responsibility. Invite everyone who believes Life is sacred and the Family is supreme. Invite everyone who believes our Rights are God-given. With this momentum we must renew our determination to restore the Republican values to the White House. Do your best to support your newly elected Republican state leaders. The best leaders will learn from you and grow from your examples. Don’t dilute your effort with the pride of this outcome. It is time to renew our commitment and go to work. We love and respect all of you. We have promised my commitment and we will work to build the party, increase transparency and raise the bar of accountability. The Grahams are not going anywhere!! Let us work together to build our party. Furthermore, let us make every effort to find victory for our values in the upcoming elections. McCain Obama’s 2012 Campaign Manager? Tipping my hat with a thanks to Seeing Red for bringing this excellent analysis to our attention. Following the events of last Saturday, I felt it was especially necessary to re-post this article “Obama 2012 Campaign Manager: John McCain” as published in “The American Thinker”. Author Jeannie DeAngelis kicks a field goal from 65 yards out straight and true. It’s clear as 2012 approaches that a similar blueprint of calling attention to a failed presidency could help unseat Barack Obama from the Oval Office. Yet rather than continue to turn up the heat to accomplish that goal, one particular politician appears to be confused about what side of the aisle he should sit on. That politician is…yes, you guessed it: that poster child of bipartisanship, the always civil and moderate John Sidney McCain. The PAChyderm Coalition has been a consistent opponent of unlimited casino gambling in our state and a consistent advocate for private property rights. We want to make it abundantly clear that we have not and will not waver from those fundamental positions, regardless of outside influences within or without the Party. In this case, a red herring has been inserted into the argument trying to bridge a gulf too wide by connecting these two issues as if one conflicts with the other. 1. A city or town located in a county with a population of more than three hundred fifty thousand persons may annex any territory within an area that is surrounded by the city or town or that is bordered by the city or town on at least three sides if the landowner has submitted a request to the federal government to take ownership of the territory or hold the territory in trust. 2. The annexation of territory pursuant to this section is valid if approved by a majority vote of the governing body of the city or town. The annexation becomes immediately operative if it is approved by at least two-thirds of the governing body of the city or town. B. For the purposes of this section, “submitted a request to the federal government” means the landowner has made an application to the federal government as required by a specific federal statute or regulation. Unfortunately, the position taken by Rep. Farnsworth goes against states rights and Arizona’s right to self determination and supports federal supremacy (Department of Interior) that have chosen to subvert the will of Arizonans who approved Prop. 202 in 2002 and to subvert the Gila River Land Replacement Act signed President Ronald Reagan. The property rights this bill addresses are special rights that are not available to any other property owner in our state. None of us can convert private land into a sovereign nation and then build a casino in violation of the IGRA and the Gila River Replacement Act. The foundation of these acts go specifically to preventing the placement of Las Vegas style Casino gambling within a city. Of utmost importance is the fact that twenty three tribes signed the Indian Gaming Compact and only one tribe has used surreptitious means to violate the rules they gave their oath to support. If the Tohono O’Odham Tribe is successful in their action to violate the Compact, you can be sure that Las Vegas style gaming casinos will appear down the street from a school near you, thanks to future actions by one of the other 22 tribes that up-to-now have honored the Compact, but will feel justified in following the above unlawful actions. The PAChyderm Coalition strongly urges you to contact your state senator and state representatives and respectfully advocate for their support for this important legislation. If you do not know the direct line for your legislator, you can call the Capitol Switchboard, 602-926-5999, and ask for them by name. The e-mail address uses the following format: the initial of their first name followed by their last name followed by @azleg.gov. Since 2007, Arizona has lost 300,000 jobs, more than 10 percent of total employment. So it’s understandable our elected officials are anxious to bring more jobs to the state. Governor Jan Brewer and other state officials want to create a Commerce Authority armed with $25 million for grants to businesses as enticements to locate here. They often point to the Texas Enterprise Fund (TEF) as a model. A close look at the TEF, though, raises questions about how effective it really is. The TEF makes grants to private companies to encourage them to locate in Texas. From 2004 to 2010, Texas gave $412 million to various enterprises ranging from a mattress company to Frito-Lay to Facebook. According to state statistics, these giveaways directly “bought” 54,269 jobs, which means each of these jobs cost Texas taxpayers an average of $7,600, assuming these jobs would not have been created anyway. Making the model especially popular among politicians is TEF’s claim that a single $2 million grant resulted in a $3.5 billion investment in oil refinery expansion. This stretches credibility when Texas is already a top refining state and $2 million is a mere drop in a $3.5 billion bucket. Arizona would do well to follow Texas’s most effective economic development policies, including a reduction in income taxes, elimination of excessive business regulations, and more use of our natural resources. Those policies might not come with ribbon-cutting ceremonies that allow elected officials to take credit, but they do bring jobs. Dr. Byron Schlomach is director of the Goldwater Institute’s Center for Economic Prosperity. What: The Arizona chapter of Americans for Prosperity, in partnership with the Education Action Project Foundation, is hosting a viewing of The Cartel (www.thecartelmovie.com) for National School Choice Week (January 23 – 29, 2011) (www.schoolchoiceweek.com). The Cartel is an award-winning documentary about corruption in public education and the promise of school choice. Cartel director Bob Bowdon will be present to talk about the making of the film and about the future of school choice in America. AFP Arizona Tom Jenney will update guests on the status of school choice legislation in the current legislative session. Light hors d’oeuvres and beverages will be provided. Please arrive early, as the film will begin at 6:15.